Modern design acrylic awards utilizing a color and shape to create stunning modern award designs unique in each design. 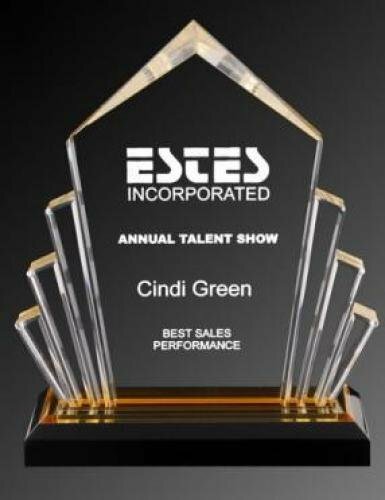 The Ribbon Acrylic Award features deep carved sweeping ribbon lines in clear with green accents. The Ribbon Acrylic Award features deep carved sweeping ribbon lines in clear with blue accents. 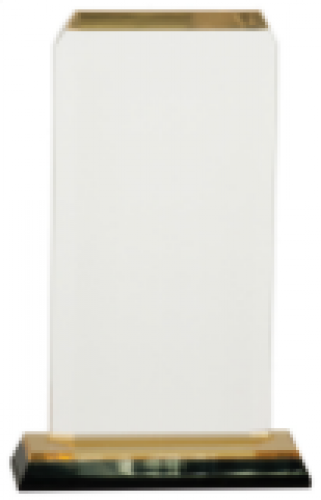 The Ribbon Acrylic Award features deep carved sweeping ribbon lines in clear with red accents. 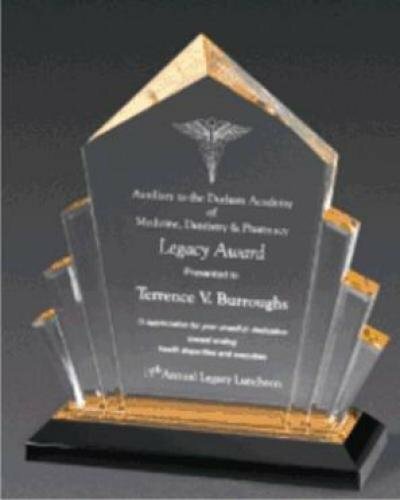 An Exclusive Aqua Blue Acrylic Award with Dark and Accent Blue Design with Matching Clear Acrylic Base. Beveled 1" thick tall arrow projects the bottom color with angled black pedestal. Reflective bottom is available in blue, gold, or silver. 1" thick acrylic. 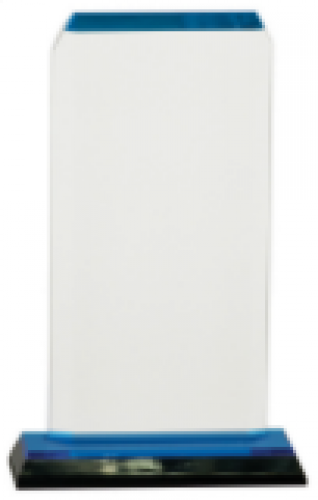 Billboard Impress Reflections Acrylic Award available with blue or gold reflective bottom. 3/8" thick acrylic. Clipped Corner Impress Reflections Acrylic Award available with blue or gold reflective bottom. 3/8" thick acrylic.